There was always one thing that happened ehwn Britain was engaged in a serious war: the tax on beer was increased. WW II was no exception. While in 1941 the talk was all about a shortage of beer, a big tax increase in spring 1942 saw worries turn to falling beer consumption. LESS beer was drunk in many areas last week - the first in which the new Budget prices were in force. Many people are drinking less and many are drinking mild ale instead higher-gravity beer. Other customers are still drinking their usual number of pints, but have changed to cheaper bars, to cut the cost. The proposal by South London licensed victuallers hat there should standard strength draught beers — ale, bitter and burton — sold at standard prices, has not yet reached the stage of serious discussion by the trade. Publicans agree that confusion exists owing to the variation in prices at different licensed houses and because some brewers have produced stronger beer than others. 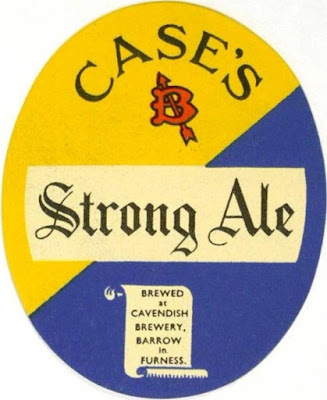 Many brewers and licensees think that standard beer would not be popular with customers, because Government beer in the last war was not well received." The People - Sunday 26 April 1942, page 3. I was confuseed initially by the bit about cheaper bars, thinking that it meant cheaper pubs. What it really means is punters swapping the lounge bar for the public bar. Not changing pubs, but the room inside the same pub. I always drank in the public bar, myself. No point throwing away 2p per pint just to have a carpet on the floor. The tax increase in 1942 was pretty steep: from 165s per standard barrel (36 gallons at 1055º) to 240s 7.5d. That's not far short of a 50% increase. Understandably, it had a big impact on the retail price of beer. For example, a typical Mild of 1030-1032º increased in price from 8d per pint to 10d. That's an overnight increase of 25%. No wonder some drinkers either cut down or economised in some other way. In peacetime such a big increase would have considerably reduced beer consumption. But high wartime wages and the absence of much to spend money on, demand for beer remained strong. As is demonstrated by the fact that beer consumption continued to increase. Those figues are for the year ending March 31st, so the period covered by thee tax increase is in the 1943 entry. There is an increase in beer output, but a very small one, only around 227,000 barrels. In WW I, there were standard strengths and prices towards the end of the war when price controls were introduced. Price controls that basically fixed beer strengths for the whole interwar period.